Here is a nice performing five-tube two-band set that works good on both AM and SW bands. It has been electrically restored so it is ready for another 70 years of service. 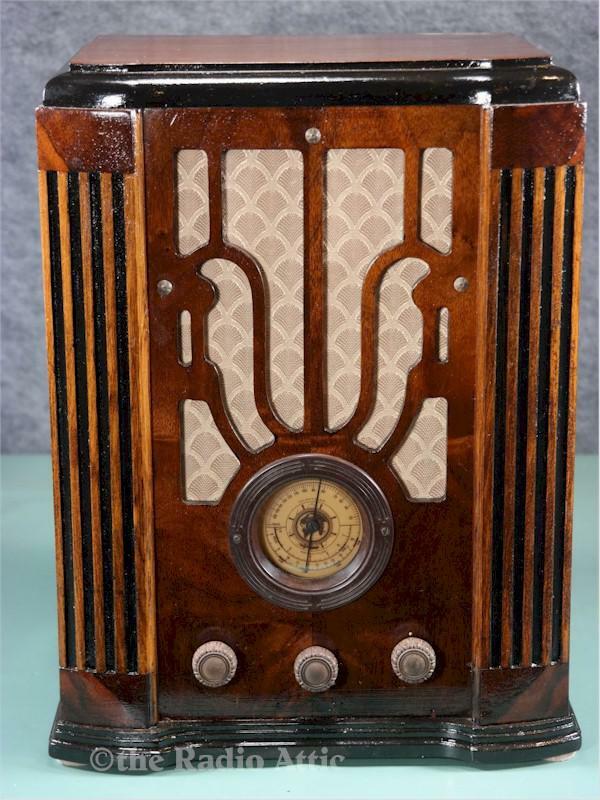 The cabinet is a close copy of the Zenith 4-V-31 radio. Only 15"H x 12"W x 8"D.